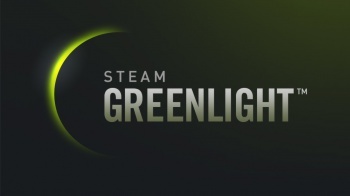 Another 50 titles have been added to the digital behemoth known as Steam. If this is January 7, 2014 (and it is, I checked) then it's time to unveil the latest batch of titles to get the green light on Steam. Remember, these games aren't actually on Steam yet (although I suppose it's possible that some of them may be) but are instead cleared to be added when they become available. And now, to the list! Hand of Fate, a card game that comes to life. It is perhaps not the most inspiring list of games ever, but there is one that I cannot recommend strongly enough: Marvin's Mittens, a very casual, family-friendly platform-adventure that absolutely nails the magic of being a young child in winter. It's an utterly wonderful game and I really can't say enough about it, so I'm very pleased to see it finally make the leap to Steam. Shadowgate and The 7th Guest 3 are also on my "interested in" list, although the recent failure of The 7th Guest Kickstarter makes me think that we might be waiting awhile for that one. So, those are my picks of the litter. What's yours?